Lonnie Wheatley, TULSA, Okla. (May 8, 2015) – Eagle and Eldora kick off another big weekend of racing tonight with a pair of major events. 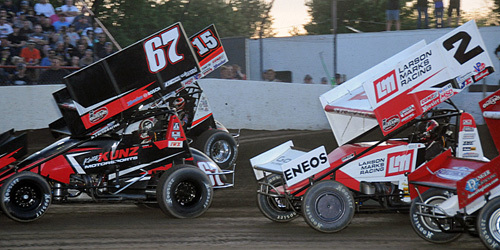 Ohio’s Eldora Speedway host “The Mother of Sprint Car Weekends” with a full card of both World of Outlaws and USAC Sprint Cars on both Friday and Saturday night. The NSL returns to action on Friday night at Nebraska’s Eagle Raceway before moving on to Knoxville Raceway on Saturday, where the famed Iowa oval will try to get things going for the fourth week in a row. A $20,000 bonus is up for the driver that can reach victory lane on both nights. 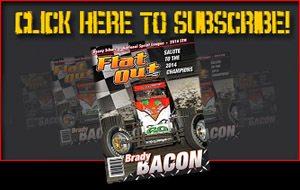 Posse action continues in full force in Central PA while to the left the King of the West Sprint Cars are in action at Petaluma on Saturday. The ASCS National Tour is set to give Little Rock’s I-30 Speedway on try on Saturday with POWRi Midgets already derailed for the weekend by the wet stuff.